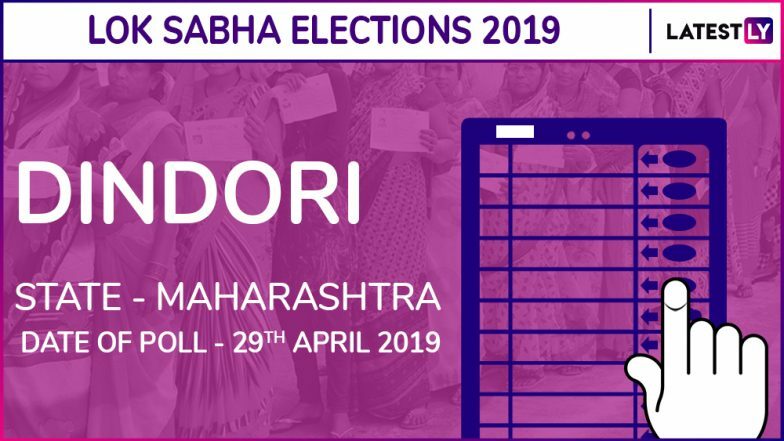 Mumbai, March 24: Stakes are high for the Bharatiya Janata Party (BJP) and the Nationalist Congress Party (NCP) in Dindori Lok Sabha constituency which will go to polls on April 29 in the fourth phase of general elections. The counting of votes will take place on May 23 and the election result of Dindori Lok Sabha seat will be declared on the same day. Harishchandra Chavan of the BJP is the sitting Member of Parliament (MP) from Dindori parliamentary seat. The BJP denied renomination to Chavan, who has been representing the tribal-dominated seat since 2009, and reposed faith in NCP turncoat Bharti Pawar. Notably, Chavan defeated Pawar in 2014 polls by a huge margin. The NCP is yet to announce its candidate. The process of filing nomination for Dindori Lok Sabha election will begin from April 2. Check Full Schedule of Lok Sabha Elections 2019. The last day for nominations would be April 9. Scrutiny will be done on April 10 and the last date for the withdrawal of the nominations will be April 12. The BJP is contesting 25 out of total 48 seats in alliance with the Shiv Sena, which will fight on rest of the seats. The Congress and the NCP are contesting 24 and 20 seats respectively. Check Full Schedule of Lok Sabha Elections 2019. In 2014 Lok Sabha elections, the alliance of the BJP, Shiv Sena and Swabhiman Paksha together won 42 seats in Maharashtra. The Congress bagged twos eats, while the NCP four. Lok Sabha elections will take place in seven phases - on April 11, April 18, April 23, April 29, May 6, May 12 and May 19.